One of the most significant trends in academic theology today, which cuts across thinking from Protestant, Roman Catholic, and Orthodox points of view, is the growing interest in theologies of retrieval. 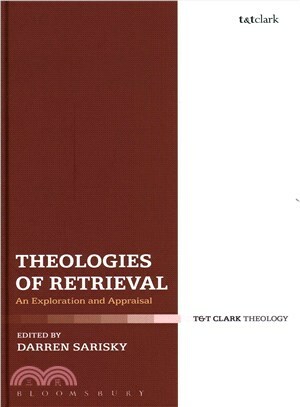 Theology of retrieval is a mode of thinking that puts a special stress on giving classic theological texts a close reading, with a view toward using the resources that they provide to understand and address contemporary theological issues. This volume offers an understanding of what theologies of retrieval are, what their rationale is, and what their strengths and weaknesses are. The contributors to this volume are all well established theologians, who answer important questions that existing work raises, expand on suggestions that have not already been developed fully, summarize ideas in order to highlight themes that are relevant to the topics of this volume, and air new critiques that should spur further debate. Darren Sarisky is Tutor in Doctrine and Ministry at Wycliffe Hall and member of the Faculty of Theology and Religion at the University of Oxford, UK.